Promenade Music are excited to announce that we have become the Main UK Dealer for the fantastic Content Organ range. Content Organs is one of the World's leading digital organ manufacturers based in The Netherlands. As a leading digital organ builder, Content offers Organists, Organ Students, Churches, Institutions, Conservatories and Music Schools a wide range of digital classical organs and Hauptwerk organs. Promenade Music are delighted to be the main UK dealer for PITS (Pie in the Sky) Guitars, hand-made in Stratocumulus. Whether you’re new to air guitar or aspire to be the next Nanami "Seven Seas" Nagura (the current World Air Guitar Champion), PITS Air Guitars are the perfect instrument for you. Made from sustainable materials and using the latest in air guitar technologies, PITS Guitars will have you rocking out with the best of them before you know it. Promenade Music are delighted to be one of the largest stockists and main dealers for D'Angelico in the UK. The new Korg Prologue 8 49 is in stock now at Promenade Music. This is a highly anticipated synth and it does not disappoint. Over the last few years, Korg have lead the way in the analogue synth revival, starting off small (tiny in fact) with the Monotron range, the Monotribe, and the Volca range. With the Minilogue and the Monologue, Korg made two great analogue synths. These are highly affordable synths with some amazing features, especially for the money. Love him or loathe him, there's no doubt that Ed Sheeran is one of the biggest names in music. In this post we'll be looking at what equipment he uses if you're looking to get that Sheeran sound for yourself. The new Fender Player range replaces the previous Standard Series. These excellent MIM (Made in Mexico) guitars and basses are revamped with modern player-friendly features. Earlier this year, we told you about 6 new Fender pedals released which have proved to be really popular. Now Fender have added 3 new options to their growing family of effects pedals, designed to help you dial in your perfect tone. 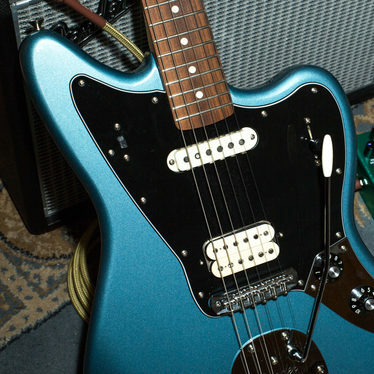 The American Performer Series is Fender's newest entry-point into their U.S. made instruments, placing Fender quality into the hands of players at any level. Fender have just announced the launch of the new American Acoustasonic Telecaster at the January 2019 NAMM show! This innovative new product marks a milestone in Fender’s history; with a new approach to guitar manufacturing which applies future technology with an instrument that feels truly organic.